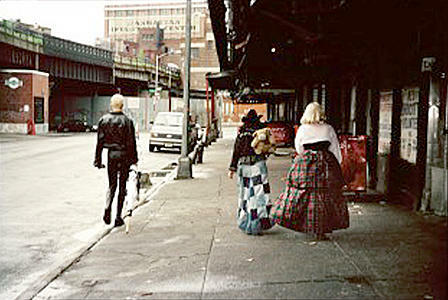 In 1990 we started JACKIE 60 in the Meat Packing District. This was an experiment which grew into the nightclub MOTHER. MOTHER eventually housed other experiments like the ground breaking cyber-fetish party CLICK & DRAG. This Friday, June 24th I am DJing back in the hood at the brand new super high tech SAMSUNG 387 (ironically) next door to the old MOTHER space. 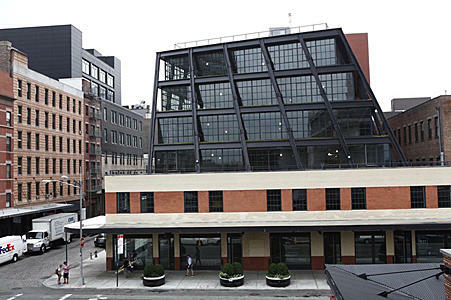 No, the Meat Packing District is not what it was in 1990 but what is? Samsung 837 is "where anyone can try out virtual reality, take part in interactive art installations, and see a larger-than-life, three-story screen. It’s home to live music performances, exclusive screenings, and radio recordings. The space features an amphitheater area, VR tunnel & DJ booth". I know... JACKIE 60, CLICK & DRAG & MOTHER represent a special time to a lot of people. I'll never forget in 1991-92? Chi Chi, Rob Roth, & Falon Wriede hopelessly trying to explain virtual reality to me. Now it IS virtually a reality. Or Rob Roth's video art piped through 100 tiny TV monitors. Those were the crazy beginnings and are fun to look back on but I am excited about the "now". I can't wait to play at this new space and am very excited about Rob Roth's "Night Paving: The Aural History of Jackie 60 & Mother" on July 21 at The Highline. If you long for those funky Jackie 60 theme parties we are still doing them. There is THE BROWN PARTY on June 29th but check out these other events as well. The Future is NOW!